Using Shortcuts to Save Time! If you’re like me, sometimes your iPhone has capabilities you haven’t discovered yet! Once I discovered Text Replacement, some things got a lot easier for me! I know — it sounds complicated, but it’s not! It’s quick, painless and you will love it! 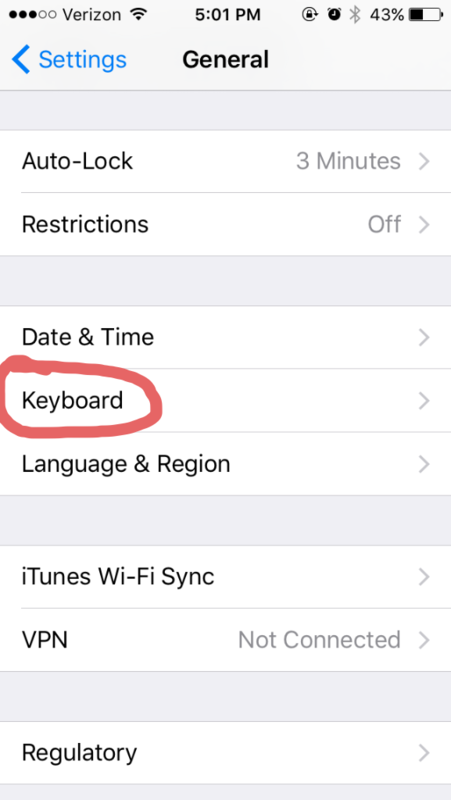 In a nutshell — your iPhone allows you to set up a “code” for words you’d like to type. My business name seems way to long if I am trying to type it on my phone, and I generally make errors and curse at the auto correct. 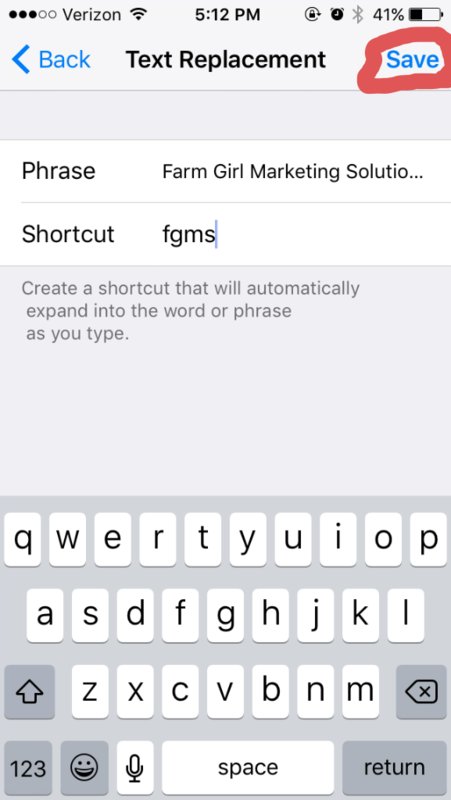 However, I can set up my iPhone so if I type the code “fgms” it types “Farm Girl Marketing Solutions”. 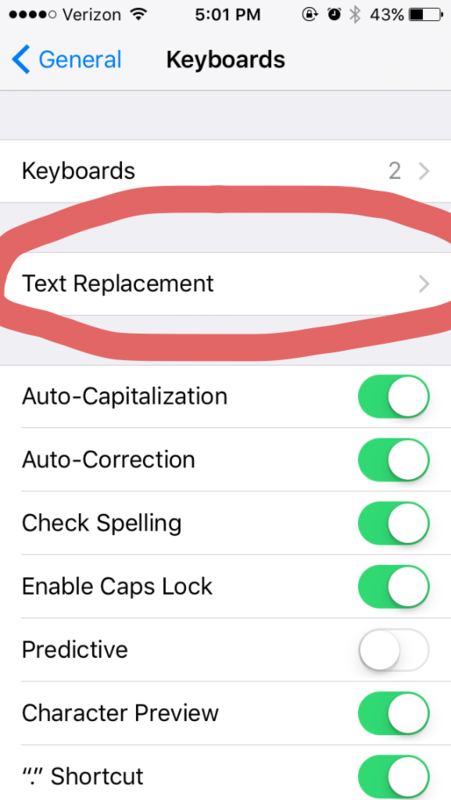 In iPhone land, this is called “text replacement”. Follow the instructions in the pictures below! Type the phrase and the shortcuts. Then SAVE! Once you save your shortcut, every time you type the shortcut, your iPhone will type the Name or Phrase you have saved! TIP: If the shortcut you use is a word, you will never be able to type that word without it expanding. Use an acronym or code that is not a word! 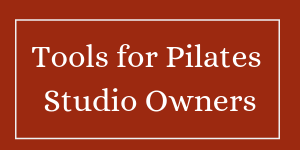 Share this blog on your page! Previous Post: « Why Choose Farm Girl for your Social Media Marketing?